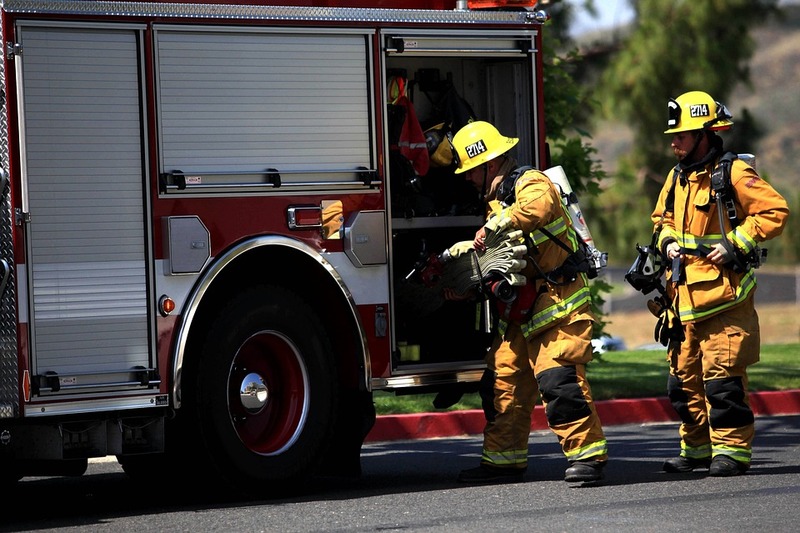 HOUSTON (CN) – A Houston pension-reform plan designed to eliminate $8.2 billion in debt is now in limbo as the local firefighters’ retirement fund sued city officials, seeking an injunction to block the plan that was approved by state lawmakers. The Houston Firefighters’ Relief and Retirement Fund sued Houston Mayor Sylvester Turner and other city officials on Tuesday in Harris County Court, claiming that Senate Bill 2190, signed by Gov. Greg Abbott on Wednesday, violates the Texas Constitution. The lawsuit has cast a cloud of uncertainty on the plan that Houston has already worked into its preliminary budget for fiscal year 2018, which the City Council passed on Wednesday. The city’s 2018 fiscal year starts July 1, the same day SB 2190 takes effect. The reforms had to be approved in Austin because state law dictates how much the city pays into its municipal worker, police and firefighter pension funds. The Texas Legislature passed the bill a week ago over the objections of the firefighters’ fund and the Houston Retired Firefighters Association. Houston firefighters have opposed the reform package because they say their pension fund is only 18 percent of the city’s unfunded liability, but they are being forced to accept 35 to 40 percent of the benefit reductions. Experts say the pension crisis is the result of years of city administrations striking deals with police and city workers to pay less into their pension funds than what was mandated by state law. Under the mayor’s plan, the fund’s and city’s actuaries have to work together to determine an “assumed rate of return” on the fund’s investments to forecast how much the city must contribute to keep pension payments flowing to retired firefighters. Turner’s plan cut the assumed return rate from 7.25 percent to 7 percent, which Turner says reduces the risk of a pension-funding shortage caused by unrealistic projections of investment returns. Houston’s preliminary budget for fiscal year 2018 allocates $70 million for the firefighters’ fund, reduced from a $93 million payment this fiscal year, the Houston Chronicle reported. But the firefighters’ fund believes the correct payment is $148 million for fiscal year 2018, according to the Chronicle, based on a 7.25 percent assumed return rate. “SB 2190 fixes an initial assumed rate of return at 7 percent and purports to grant authority in part to the City and the City’s actuary to determine other actuarial assumptions, including future assumed rates of return. By doing so, it directly violates the Texas Constitution’s directive that the adoption of actuarial assumptions is the sole purview of the Fund,” Tuesday’s lawsuit states. The fund seeks a declaration that SB 2190 is unconstitutional and an injunction to stop the city from relying on the bill to plan its budget. It is represented by George Shipley with Shipley Snell Montgomery in Houston. Turner questioned on Wednesday why the firefighters’ fund chose to sue city officials and not Texas because SB 2190 is a state law. The mayor also said the fund’s lawsuit could hurt Houston firefighters because SB 2190 caps each of the three pension funds’ administrative costs, including legal fees. He urged the firefighters’ fund to “stop digging a hole” and accept his reform package. “I think they need to do what’s in the best interest of the people they claim to represent, firefighters both active and retired. But it’s their call, we feel very comfortable about the legislation,” Turner said. The fund’s claim that the new state law is unconstitutional is familiar and ironic to observers of the festering funding crisis. Houston unsuccessfully sued the firefighters’ fund in January 2014, seeking a declaration that the old state law setting how the fund was operated, and giving the city no control over the amount of its contributions, was unconstitutional. Turner says his plan will eliminate the city’s pension debt in 30 years. It calls for $2.8 billion in retirement benefit cuts and depends on voter approval of $1 billion in pension bonds.